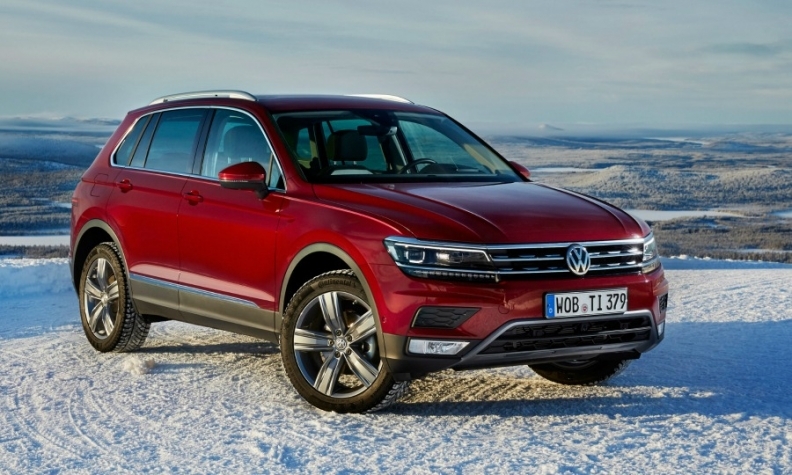 The Tiguan (shown) and Passat will be imported under a contract with the Iranian automotive company Mammut Khodro. BERLIN -- Volkswagen Group will start sales of the Passat and Tiguan in Iran next month, returning to the resurgent Middle Eastern market after a 17-year absence. The move is expected to help the automaker reduce its reliance on volatile overseas markets such as China and Brazil. VW said on Tuesday it had signed an agreement with Iran's Mammut Khodro to import the Tiguan and Passat into the country. The vehicles will initially be distributed via eight dealerships, focusing on the greater Tehran area. Khodro is the Iranian word for automobile. "By returning to Iran, the Volkswagen brand is filling in another blank spot on the global automotive map. We are thus strengthening our international presence still further. At the same time, we are taking our very latest models with premium features to our Iranian customers," Anders Sundt Jensen, project manager for the Iranian market at Volkswagen, said in a statement. The Iranian government estimates that there will be about 3 million new registrations in the overall passenger car market per year in the midterm to long term. Last year Iran has 1.3 million vehicle registrations, according to the International Organization of Motor Vehicle Manufacturers (OICA). The Mammut Group, which was established in 1995, is one of Iran's the biggest private industrial companies and employers. Its business fields include automotive, construction, IT, logistics, telecommunications and financial services with its main focus on the Middle East region.